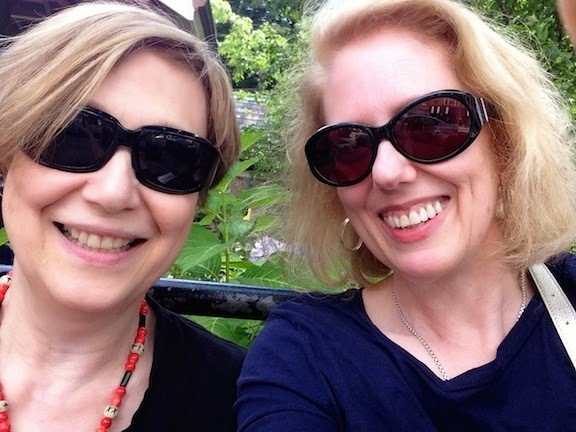 While Loretta and I were off on our mini-breaks, we wallowed happily in Royal Baby madness like the rest of the world. With our nerdy historical bent, this of course also led us to think of historical babies. 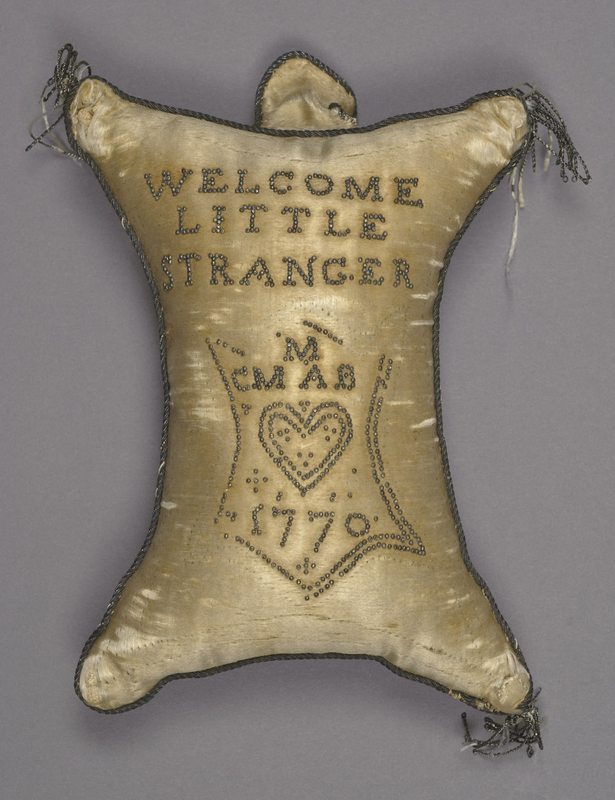 These little pincushions would have been made for new mothers in the 18th-19th centuries. Some historians believe that they would have served as a kind of birth announcement as well, to be hung on a door when the baby was born. More likely the pincushions were a thoughtful gift in a time when even baby clothes and diapers were fastened with straight pins, and pins were never far from reach. A few that survive were clearly well-used, while other examples were preserved as pristine little tokens. And their fondest hopes fulfil. Top: Layette pincushion, cotton with cotton fringe & pins. English, 1784. Victoria & Albert Museum. Bottom: Pin cushion, silk, thread, pins. American, 1770. Winterthur Museum. I've come across your Blog quite by chance. I'm not a great history lover but this really appeals to me with all the details of Royal births. 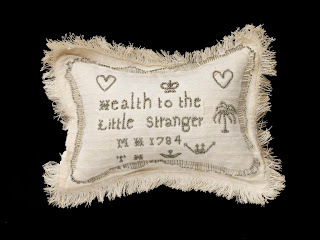 That little pincushion at the top was included in a cabinet of smaller items in the V&A's Quilts 1700-2010 exhibition a few years back. The catalogue entry for it stuck in my mind because it mentions that these little pincushions were traditionally given to new mothers, but after the birth; superstition held that gifting them sooner might increase the pangs of childbirth. 'For every pin a pain' and 'More pins, more pain' were commonplace sayings at the time. I don't know if the catalogue is still available, but try to check it out: it's a lovely resource. You've probably covered this before, but I looked it up: the safety pin was patented in the U.S. in 1849, although there were older forms of it. I wonder how long it took to get into widespread use here and in Britain. Notebook for Eileen - glad you found us, one way or another! While I was hunting around the internet for more examples, I did see this charming 1830s example currently for sale on eBay - tempting! I wonder how many of these still exist because the child for whom they were made and the mother to whom they were given died. One can imagine that they were preserved as a momento of a lost love, rather than used as a practical gift. Really, to me, these are objects of terrible sorrow. Wow! I assumed the messages were embroidery, until I looked at the images up close. Amazing! BTW, I had my daughter in 1984, when ultrasounds were only done when there was a medical reason for it. After hearing for months from other women about how I was carrying the baby like a boy, I had a "little stranger" of my own!